I have been playing Tera (Tera Online, Tera Rising or whatever you want to call the game) since 2013. I love the action combat fighting style for this massive multiplayer online role playing game aka “MMO” or “MMORPG”. Before Tera, when playing MMOs I would be used to alt-tab aiming then hitting my macros. Whoever had the better macros and gear would usually win. Tera changes everything, you have to actually aim at someone before hitting your skills. Even if you aim perfectly and hit your skills correctly the other person fighting you can dodge your attacks. This is the main reason I keep on coming back to this game. [adblockingdetector id=”1″]Actually playing Tera has been an addiction. I play it almost every day and make sure while playing to grind out the materials for the top end PvP gear. I have recently decided to use this addiction of Tera for good purposes like creating in-game Tera video tutorials with accompanied articles. I am going to start with tutorials for newbies to the game that have been playing it for less than a week. After I finish up with the newbie Tera tutorials, I will progress to more intermediate and advanced ones. The reason I will focus on raw beginner tutorials first is because I noticed that like many MMO games newbies to the game will be made fun of or treated badly if they ask the in-game community newbie type questions. The veteran players of the game expect newbies to know everything from day 1. They forget that at day 1 they didn’t know anything either. When I start the intermediate Tera video tutorials you will notice that they will be slightly more focused on the PvP aspects of the game. There is a reason for this, I am a PvP player and rarely do PvE because I dislike PvE. So I do not know as much about PvE that I do about PvP. For the new people to MMOs, PvE stands for “Player vs Player” and PvE stands for “Player vs Environment”. In PvP, you fight against other real people and in PvE ,you fight against computer controlled enemies. [adblockingdetector id=”5″]Tera does offer an “Elite” subscription where you pay a monthly fee for some in-game perks but this is not necessary to play the game. 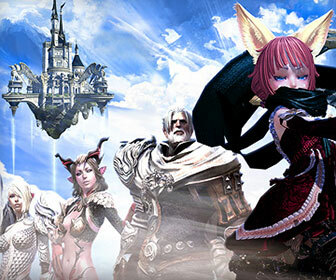 Most of my Tera in-game guides will be for free-to-play and Elite subscribers.